Knowing where to grow your vegetables is almost as important as knowing what types to grow in the first place. Your temperature zone defines what you can easily grow, but your ultimate placement of those chosen vegetables will decide how well they’ll grow for you. Here is a list of full sun, shade, and partial sun plants that grow well in most of North America. “Full sun” means a minimum of six hours (usually at least 8) of sunlight per day. For at least six hours, the sun should be directly shining onto the plants nearly every day of the season. Obviously inclement weather and overcast days are not counted. No artificial shade (trees, buildings, etc) are blocking sunlight from full-sun veggies. 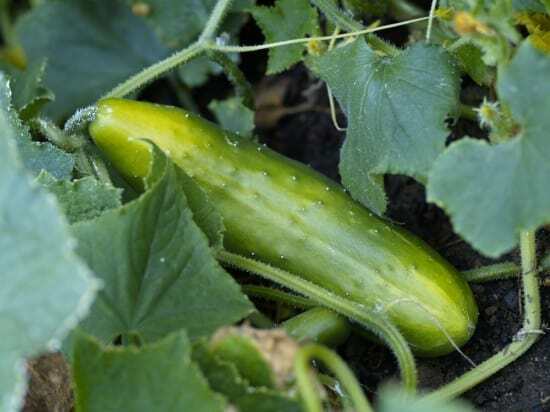 One of the easiest to grow, cukes have very broad leaves, a common trait in many full-sun plants. These grow better in some climates than in others, but are a popular early spring and late fall harvest. Most types of peppers prefer as much sun as they can get. Like cucumbers, squash plants have very broad leaves and beg for sunlight. Growing them on a trellis or stand can maximize sun exposure. Like peppers, assuming plenty of water is available, tomatoes will always take as much sun as they can get. Partial Sun are vegetables that require at least four hours of sunlight per day, but often thrive with less than six hours of direct sunlight. These are usually listed as “partial sun” or “partial shade” veggies in garden stores. Partial sun usually means that the plant could still do well with more sun, and partial shade often means that the plant would do better with four to six hours as a maximum. When in a bush variety, these do well with more sun (closer to 6 hours) than in vine varieties, which can do more with less if they’re on a trellis. Keep beets partially shaded and they’ll thrive, even in relatively dry conditions. Full sun on broccoli will lead to rapid flowering (which ruins the taste) while partial sun encourages tighter heads and slower flowering. Although cabbage is broad-leafed, too much sun will dry it out and encourage smaller heads and bigger open leaves. Too much sun and the carrot plant grows more foliage than root, so limiting sunlight means larger carrots. Like broccoli, limiting sunlight to under 6 hours daily means tighter heads of cauliflower. A popular spice, limiting sunlight will help keep the plants smaller and larger-leafed, which means more harvest and better taste. Also known as green onions, leeks thrive in cooler, more moist environments compared to regular root onions. Root onions, like most root-based edibles, need less sun in order to encourage below-ground growth. Like beans, peas will grow more plant than edible seeds if too much sun is given. Again, with root plants like radishes, it’s all about encouraging root growth. Similar to beets and onions in growth pattern, the rutabaga needs restricted sunlight in order to encourage deeper (larger) roots. Similar to carrots, turnips tend to grow downwards when less sun is available to them. Vegetables that do well in less sunlight (2 to 4 hours) are often called “light shade” or “shaded” plants. 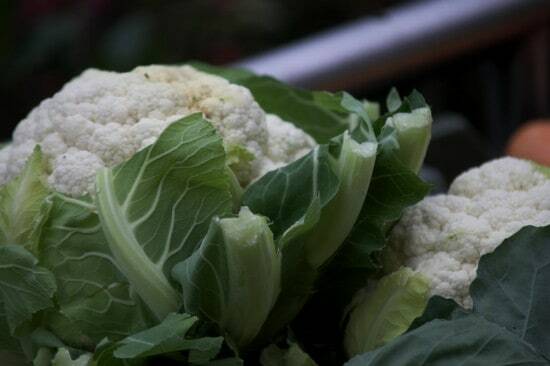 Some “partial shade” plants are also light shade, such as cauliflower and many spices. Being leafy, arugula would be expected to a sun-lover, but sunlight often droops and shrivels the leaves, so this is a good “under” plant to put underneath other, larger ones. 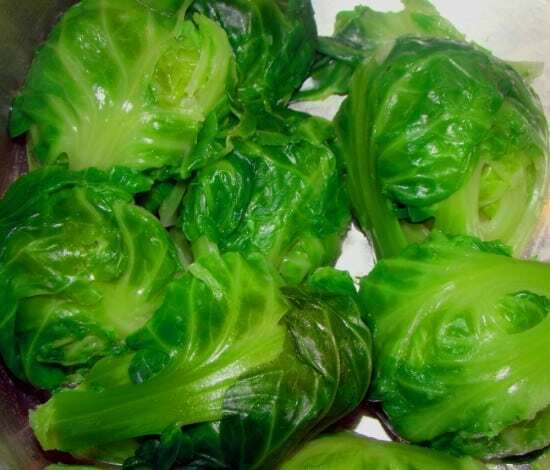 This is also a cold-tolerant plant and like most cold-happy plants, Brussels sprouts do well with limited sunlight. Endive is likely the most shade-loving of all the leafy lettuce-type plants. Like its cousins in cabbages, kale loves cold weather and less light. Most lettuce plants prefer less sun. A popular plant in the U.S., this one is often grown in flower gardens and near porches where sunlight is limited. Like lettuce, spinach needs cooler temperatures and less sun. Another delicate leafy plant, swiss chard doesn’t enjoy a lot of sunlight. Even the most open of garden areas provides shade. Be creative with plant placement and you’ll find that you can create your own shaded areas to maximize conditions for each plant’s preference. Tall stalks of corn, for example, can provide partial shade for smaller radishes and peas, while heavy-leafed squash plants might provide near-permanent shade for smaller carrots or turnips.